One of the perks of working at sign company is having access to all of the products that we offer. When I found out one of my best friends was getting married, I started brainstorming all of the wedding gifts I could get her from work. I knew I had to print a canvas piece for them. They sent me an engagement picture, so I had it printed for them. They displayed the canvas at their wedding on the "guest jersey signing" area (I wish I could take credit for their awesome jersey signing idea!). 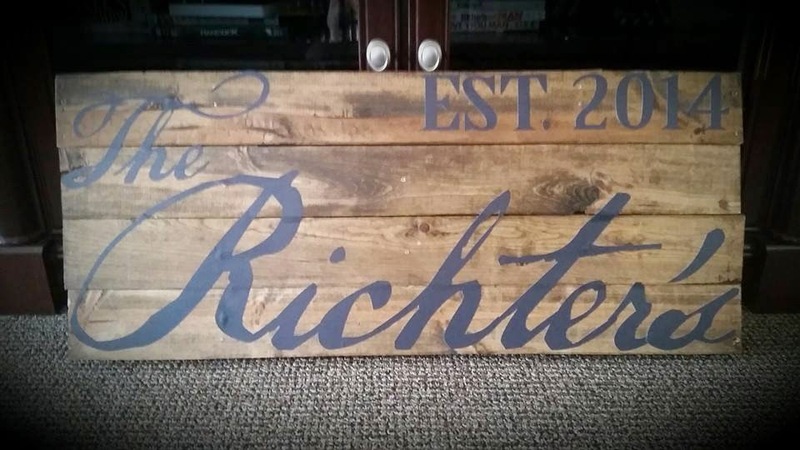 I also gave them a decal print that said "The Richter's Est. 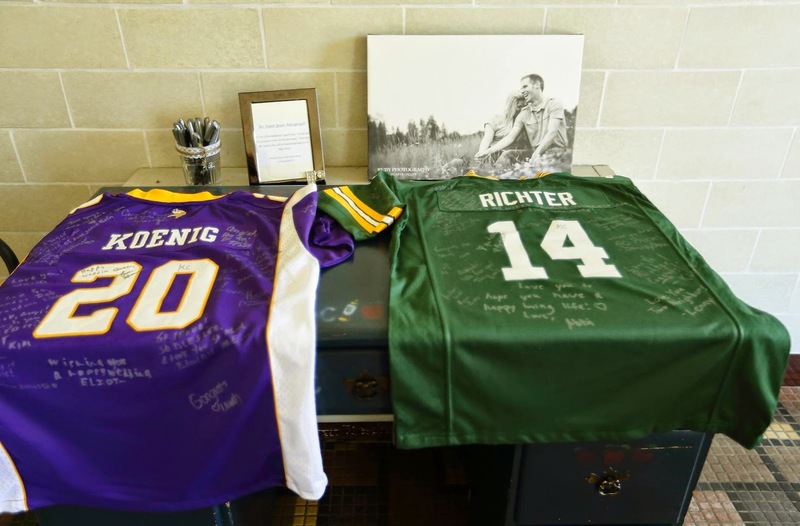 2014" for them to display in their new home. Although it was intended to be displayed on their wall, I love how they did some crafting and displayed it on wood! I'm so happy that I was able to be part of their wedding day, and I'm very impressed with how they used the wedding gifts so creatively! If you have an upcoming wedding, and want to give a unique wedding gift, contact Banners.com and we can help you with your wedding gifts! You can email us or call 320-965-9300 to get started.